Sabine Kreutzberger studied viola da gamba with Pere Ros at the Music Academy in Karlsruhe and with Wieland Kuijken in Den Haag. She received further impulses from instruction and courses in viola da gamba and viella (medieval fiddle) with Ariane Maurette, José Vasquez and Kees Boeke. 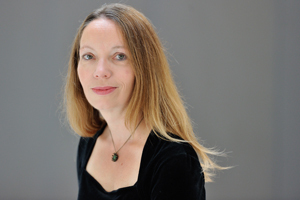 Sabine Kreutzberger teaches at the Musikwerkstatt Baden-Baden and as instructor of viola da gamba/continuo-playing at the Music Academy in Karlsruhe. With Est! Ensemble für Musik des späten Mittelalters, the ensembles Les Escapades and RicciCapricci, as well as in cooperation with the SWR, she has participated in numerous radio and television recordings, CD recordings and live performances on Radio France, the SWR, BR and Südwest-Fernsehen.